At Southwest Healthcare System, our tradition of providing quality medical care in a comfortable and convenient environment helps brings peace of mind to the thousands of patients and families who come to the Rancho Springs Medical Center campus. 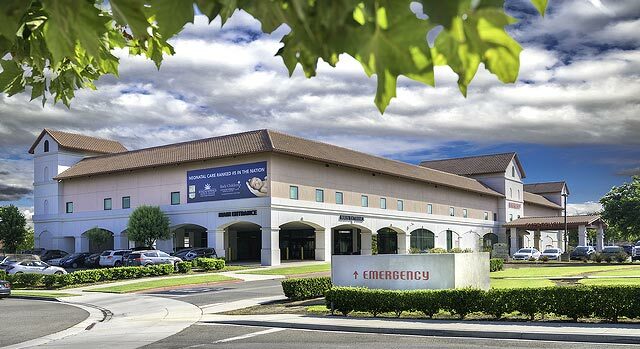 The Rancho Springs location in Murrieta, California, is a 120 bed acute-care facility with an Emergency Department that is open around the clock. To best assist all types of urgent care needs, Rancho Springs provides the area's only OB/Emergency Department program, which gives expectant moms 24/7 on-site access to OB/GYN physician coverage, and also has the region’s only Pediatric Emergency Services (for children 14 and under) provided by board certified Rady Children’s emergency medicine physicians. In addition, the Family Birth Center at Rancho Springs is the largest in the region and features spacious family-friendly private suites, as well as the only Neonatal Intensive Care Unit (NICU) operated by Rady Children’s. Learn more about the comprehensive care available at Rancho Springs Medical Center and the Southwest Healthcare System.